AT&T has reported revenue of $31.4 billion for the first quarter of 2013, down slightly from a year earlier, although net income was up slightly, with a sagging wireline business division nearly offsetting mobile and wired broadband growth. AT&T’s revenue was down 1.5 percent from the first quarter of 2012, but those numbers don’t count the company’s sold-off advertising solutions group. When excluding revenue from advertising solutions, revenue was up 0.9 percent. Net income attributable to AT&T was $3.7 billion, up from $3.6 billion a year earlier. The company posted earnings per share of $0.67, or $0.64 excluding one-time items, meeting analysts’ estimates. 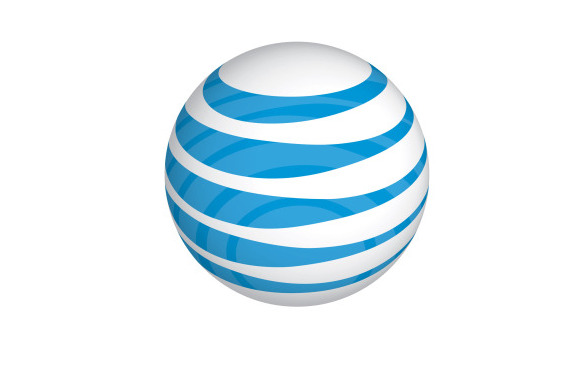 AT&T’s mobile division posted revenue of $16.7 billion, up 3.4 percent from 2012. Mobile income was $4.7 billion, up 4 percent from a year earlier. But the company’s wireline division partly offset those numbers. Wireline revenue was $14.7 billion, down 1.8 percent, and wireline net income fell 5 percent to $1.6 billion. Company officials pointed to mobile growth as a cause for optimism. AT&T added a net total of 291,000 mobile customers during the first quarter, with 365,000 tablets added to the company’s network during the quarter. The company added 1.2 million postpaid smartphone subscribers during the quarter, with many of those subscribers moving over from older mobile phones on AT&T’s network. AT&T had “exceptional” growth in tablet users during the quarter, said John Stephens, AT&T’s CFO. “All in all, [it was] a solid start to the new year,” Stephens said during a conference call. About 70 percent of the company’s postpaid smartphone customers are now on use-capped data plans, compared to 61 percent a year ago, AT&T said. In the company’s wireline division, AT&T reported that it added 731,000 U-verse broadband customers during the quarter, a record net gain in that area. Overall, the company added 124,000 wireline broadband customers during the quarter, with DSL losses partly offsetting U-verse gains. The company also added 232,000 U-verse TV customers during the quarter, the highest increase in nine quarters, it said. AT&T now has 8.4 million U-verse broadband and 4.8 million U-verse TV customers, it said. Wireline revenue from residential customers was $5.5 billion, up 2 percent from the first quarter of 2012, but business revenue was $8.9 billion, down 3.4 percent.